With a population of almost 30,000 residents, Rushden is the fifth largest town in Northamptonshire. Rushden and the surrounding areas boast a lot of green spaces, including multiple leisure sites and sports fields such as, Rushden & Higham Rugby Club, Rushden & Higham united Football Club and Irthlingborough Cricket Club. These well-maintained sports facilities are the foundation of the overall natural appearance of public areas in Rushden. The two large golf courses and numerous local public parks- including Irchester Country Park, Rushden Hall park, Jubilee park, and Spencer Park – also add to the luscious appearance of the parish. With the public areas remaining well-maintained and worked to perfection, both businesses and residents hold the key to the continued upkeep and standards held within the area. Fortunately, whether you’re looking for regular maintenance for your commercial property, or a one-off project to get your home garden looking idyllic, Ricky Tyler landscapes has the experience, crew and tools to get the job done. Rushden and the surrounding areas, including Burton Latimer, Chelveston, Oundle, Podington and Raunds, are host to more than 15 educational facilities, over 50 nursing homes and upwards of 850 established companies and businesses. This means that a large portion of the town’s appearance is in the hands of local business owners to maintain. 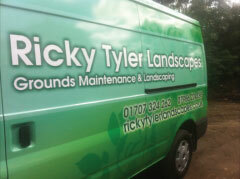 Ricky Tyler offers an excess of 14 years of experience in the grounds maintenance industry, with excellent credentials and a well-founded reputation spanning the south of England, from Ipswich to Southampton, so whether you’re a Sanders Lodge Industrial Estate business seeking a one-off landscaping project to brighten up the area, or a local residential or educational facility looking for regular, dependable maintenance services to keep the grounds neat and tidy, Ricky Tyler have a service package to suit your needs. Domestic grounds maintenance has many benefits, not only does the upkeep of residential garden and grounds keep the overall area looking great and welcoming, but a neat and tidy garden can boost your personal mood and give your house the real feeling of home. Gardens are ideal for relaxing, hosting parties, entertaining guests and watching nature in all its forms, which is why Ricky Tyler offer lawn care, regular garden maintenance and singular landscaping, redesigns and freshening up in Rushden and the surrounding areas, including Northampton, Wymington, Riseley, Thrapston, Wellingborough, St Neots, Wollaston, Higham Ferrers and Irchester. 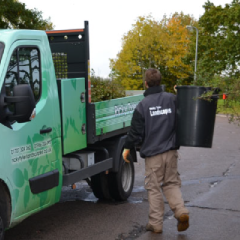 Ricky Tyler Landscapes can provide gardening and grounds maintenance services including Rushden Grounds Maintenance covering Rushden, Northamptonshire .